Earlier this year, Lynne met one of the trustees of the charity Siblings Together, and learned about the summer holiday camps they run to reunite siblings who are in care and have been separated. They thought it would be lovely if every child who attended one of the camps over the summer could take away a quilt of their very own. This lovely idea blossomed and many, many beautiful quilts have been made - each with a label with a space for siblings to write messages for each other. I'm just happy but not surprised, that this project has been so successful and glad to have been able to join in. so do have a look - and she is offering a giveaway of lovely fabric. the quilts you made are lovely. Such a great cause! Those turned out great! Love the little helper feet! It is nice to think that soon your quilts will be being cuddled up to and kept! Gorgeous quilts and still can't believe these were your first! 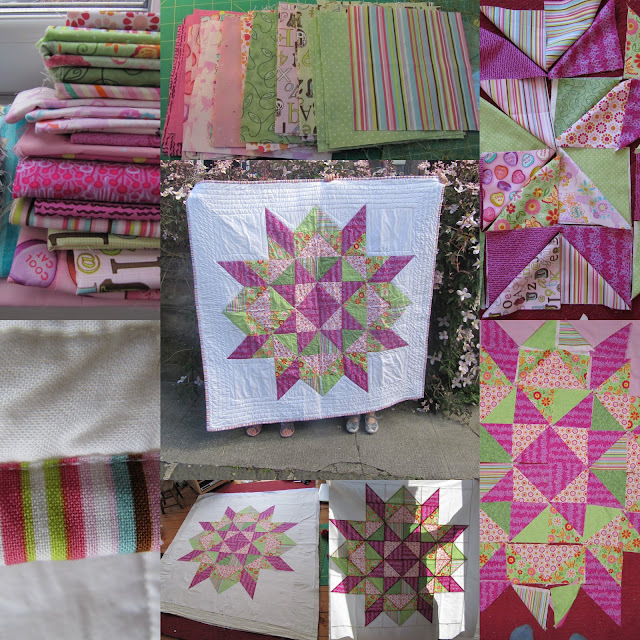 Those quilts are wonderful!! And amazing that they are your full first quilts too!! 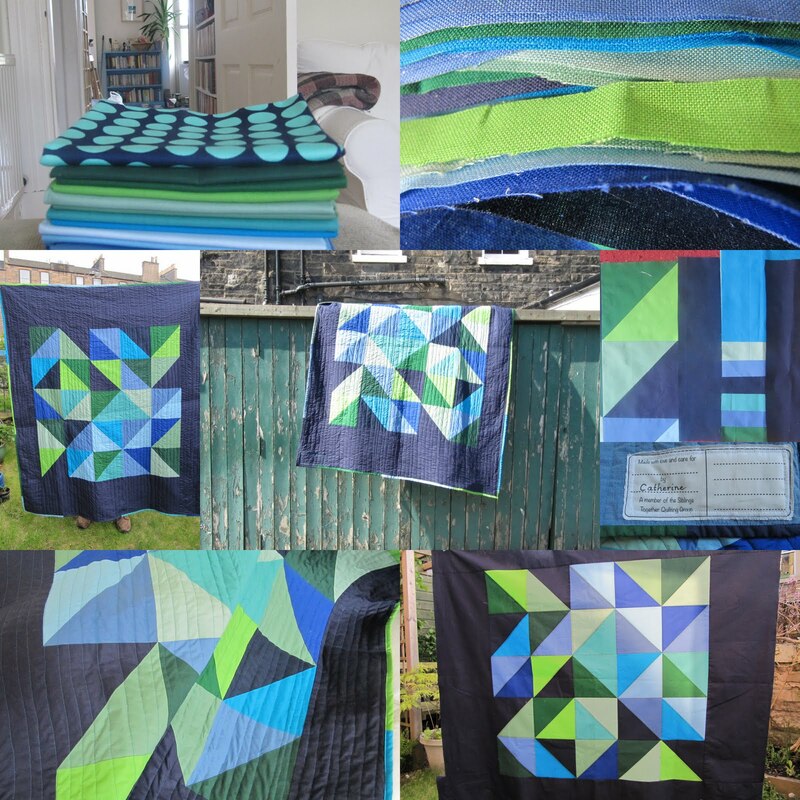 Those quilts are beautiful, I love your use of solids. I fought like cat and dog with my brother but I would have been lost without him - I hope the new owners get some comfort from them.